Laurus Laboratories posted a 17.5 percent increase in net profit to Rs 47.2 crore in the third quarter ended December on account of larger uptake of its API business. 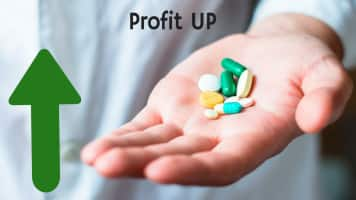 Laurus Laboratories posted a 17.5 percent increase in net profit to Rs 47.2 crore in the third quarter ended December on account of larger uptake of its API business. Total revenues of the company rose 12.3 percent to Rs 505.4 crore during the quarter while EBITDA grew 9.4 percent to Rs 111.5 crore. Laurus is presenting its first ever quarterly results since the company went public in December. "As we continue to improve our financial performance we also focused on strengthening our balance sheet and prepaid Rs 226.3 crore towards debt obligations from the IPO proceeds as conveyed in our filings," V V Ravi Kumar, Executive Director and Chief Financial Officer of Laurus Labs said in a statement. "This will lead to lower interest rates and healthier return ratios once the performance momentum builds up," Kumar said. The company said it has launched hepatitis-C medication Velpatasivir in Nepal in partnership with Natco and is geared up for launch in India upon approval. Besides, Laurus said it has filed 2 ANDAs and in addition completed 4 product validations. The company said it is expecting US FDA and WHO inspection scheduled during March 2017 for Unit 2. THe company said in first nine months it has spent Rs 258.4 crore on capital expansion on expansion of 5 billion tablets which is expected to be completed by end of March 2017 and expansion of R&D centre at Hyderabad The company said its Unit 5, a dedicated manufacturing facility for Aspen in Visakhapatnam is inaugurated and is operational in November 2016. Shares of Laurus Labs rose 1.59 percent to close at Rs.559.70 on BSE, the benchmark Sensex gained 0.14% to end 28,329.70 points.